I though about this for a while, if I would really need a business card. After all I don’t have a business. But shouldn’t any aspiring artist should have a card with contact data he can give to whatever interested people? When taking pictures of strangers in the streets (or for that matter wherever) sometimes the people ask if I could send them their photo. Or I offer them to send them their photo as an incentive to let me take their portrait. An in the past it was often scrambling for a piece of paper and something to write to copy down contact data. So I decided to treat myself to a card I can hand out on these occasions. Contents wise I decided to limit data to my name, email-address and links to my website and my Facebook account, more than enough for people to get in touch. 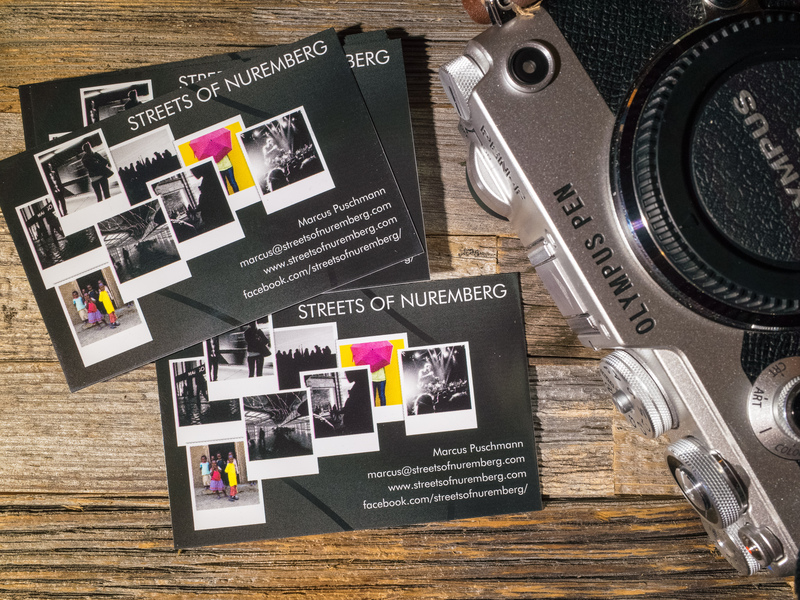 I ordered the card at Vistaprint, using one of their designs that I could customize with my brand name “Streets of Nuremberg”, my data and also insert some of my own photographs in the frames on the card template. Granted, tastes are different and beauty lies in the eye of the beholder, but I like the result. And ordering my cards was relatively inexpensive (just over 20 € for 250 cards). I have been doing this for a while, but still haven’t finalised my design. 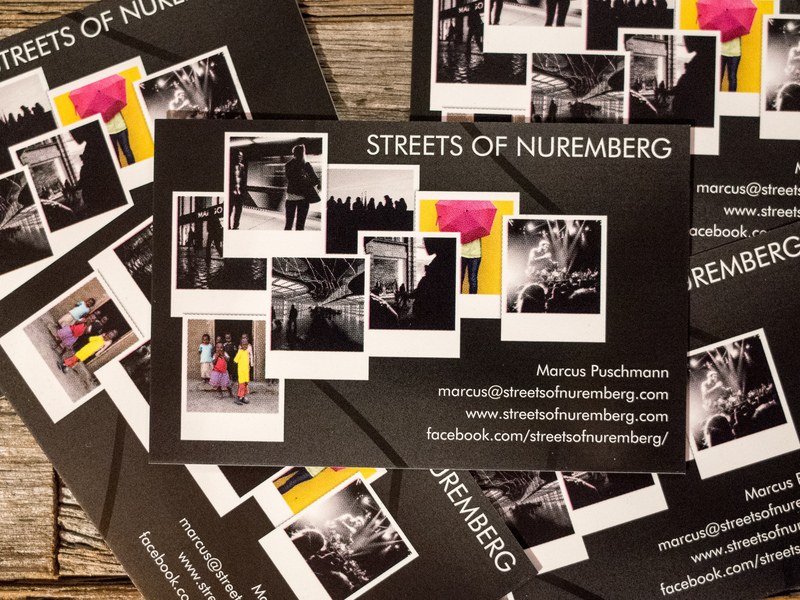 I bought some Avery Business card sheets from Amazon to print my own until I’m ready to go the Vistaprint route. It’s working for me for the moment. Thanks so much for taking the time to read and comment! It is so much fun to work on your own “brand”! Fabulous idea! Well executed too. Thanks 🙂 then just do it !